Yep, there are hotels with indoor pools and continental breakfast. Up in the hills you can find a cabin to rent. You can even buy your own condo. 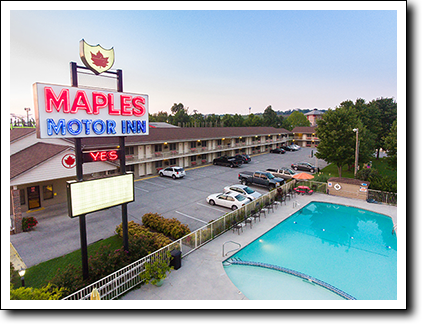 But thousands of our customers have found a place where they know there's a comfortable bed, a relaxed and safe atmosphere, and no surprises about our rates. That's why so many folks walk into the office and say, "We always stayed here when I was a kid, and now we're bringing our kids." Well, whether you know us or not, just explore our website. Give us a call. We've been here nearly fifty years and we ain't going anywhere. We are honored to be named as one of America's Top 25 Bargain Hotels on Tripadvisor's 2019 list. 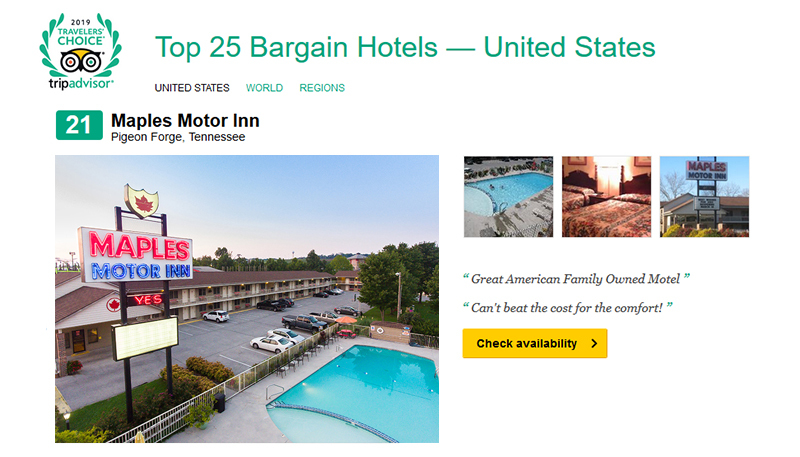 We are the number one bargain hotel in Tennessee as well. Thanks to our loyal customers who review us online, not to mention spread the word personally. It is to you that we owe our success!